Update: We’re hearing ever more talk of a folding phone arriving this year, and we might even see two of them. Foldable phones are coming, it’s only a matter of time, and it looks increasingly like Samsung could be the first company to commercially launch one – possibly as soon as next year. We may even know what it’s called, with the mysterious Samsung Galaxy X being the subject of several bendable leaks, foldable patents and flexible rumors. But whether X marks the spot or not, we’re clearly entering a foldable future. To see how we got here and where we’re going, here’s the story of Samsung’s foldable phone so far. The idea of a foldable phone isn’t new to Samsung, in fact way back in 2011 the company showed off a prototype of exactly that. The device looked chunky and awkward, but even back then it somewhat worked, remaining intact after 100,000 folds, with only a 6% drop in brightness at the center, where all the folding action happened. 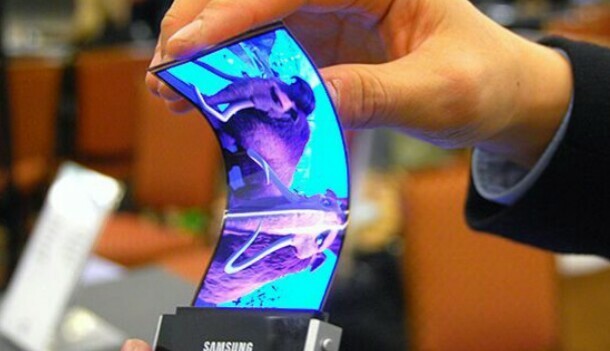 This clearly wasn’t a commercial product, but later that year Samsung launched a concept video of a fully bendable (and transparent) mobile device, that could fold out from a phone-sized screen to a tablet-sized one, showing Samsung’s ambitions for the technology.